KT, South Korea’s biggest Internet provider is to limit access to certain TV applications that slow down overall network speed in a move that may cause a clash with major television manufacturers aggressively marketing Internet-enabled TVs. “Internet-enabled TVs increase network traffic by up to 15 times compared to conventional IPTVs. At the current growth rate and user increase, the network won’t be able to accommodate traffic requirements and consequently it could slow down overall Internet speed,” KT executive Kim Hyo-sil told a news conference. 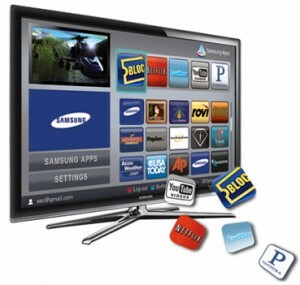 KT, which owns nearly half the country’s fixed-Internet market, estimates around one million connected TVs were sold as of end-2010 in South Korea, with some 100,000 heavy downloaders.